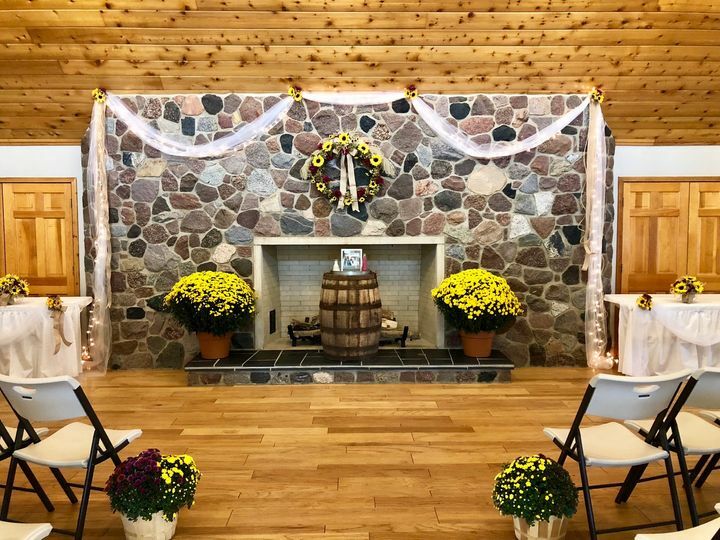 The Hall at Oakland Park, located in Nappanee, Indiana, is your ideal wedding venue, with natural views that emphasize the romance surrounding your special day. 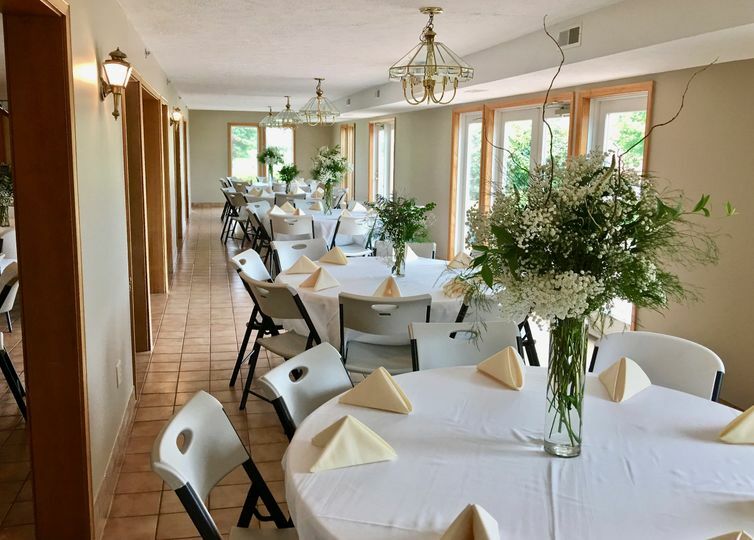 This tucked away wedding venue is private, making sure that you are surrounded by just your loved ones and staff members ready to help you through your special day. 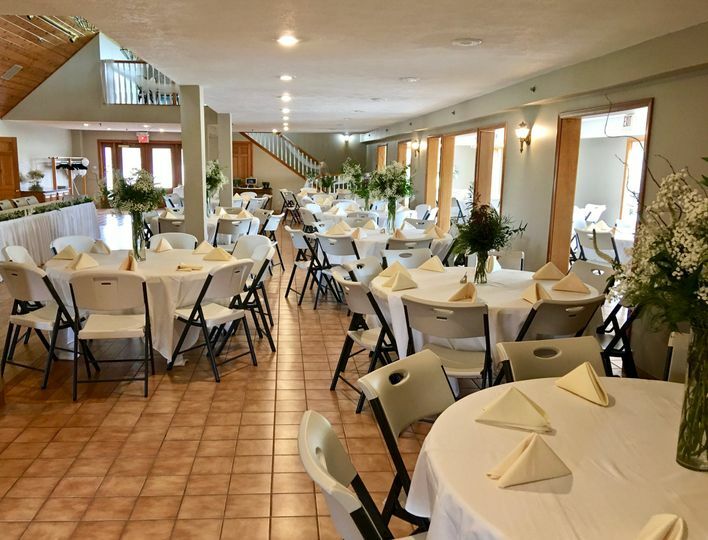 The Hall at Oakland Park is a 5,000 square foot facility, with an open main level, balconies, a fireplace and a patio. 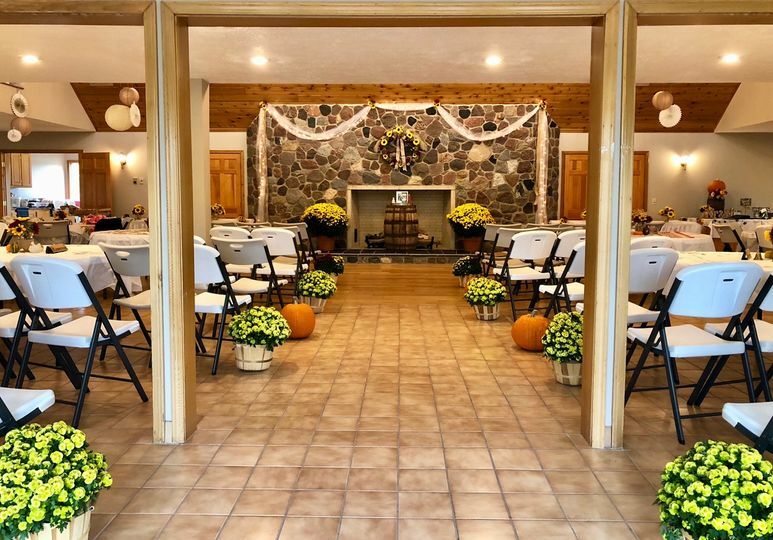 Couples may host up to 200 guests for a sit-down meal and 300 people for a cocktail reception. 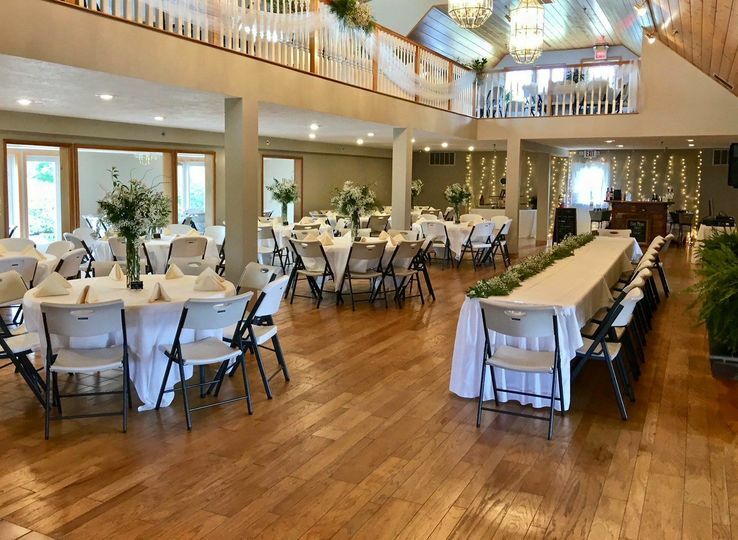 The venue offers both indoor and outdoor spaces that overlook the beautiful landscape, including three different ponds and willow trees. I loved this place! 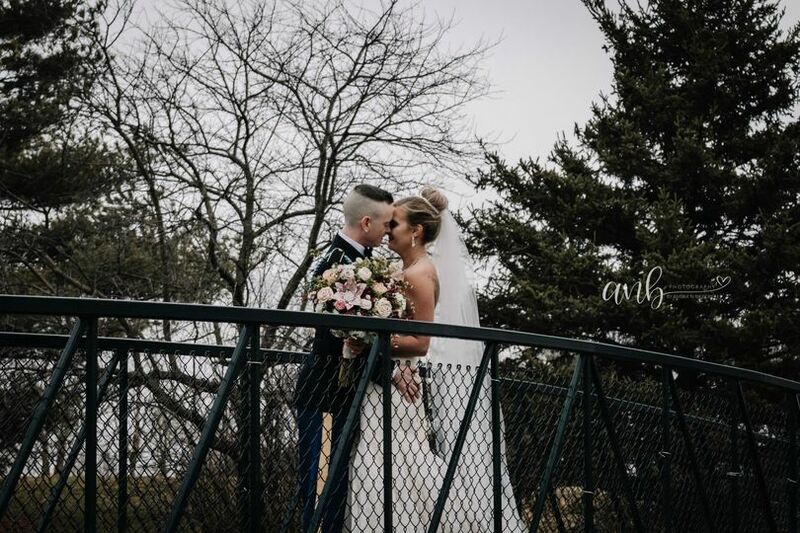 It was a beautiful private place with the willow trees I love. 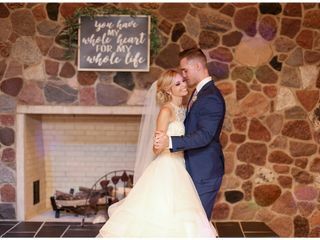 I was able to customize how I wanted the reception to look. Everyone was so friendly. This venue is absolutely beautiful! 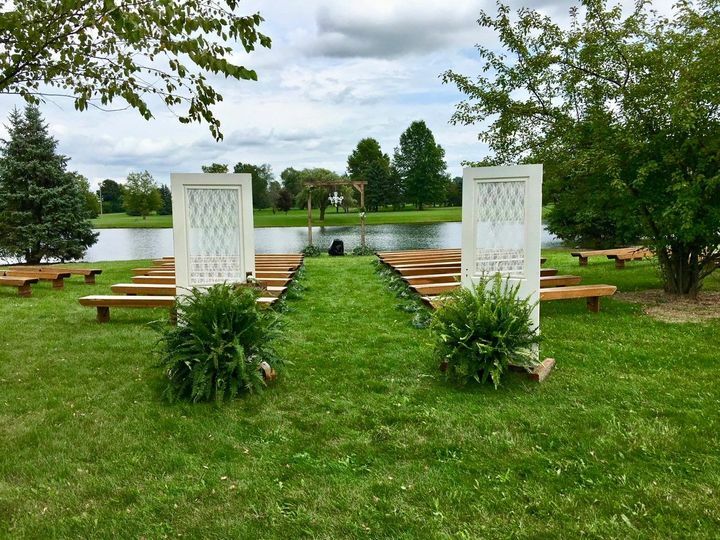 The ponds, trees, and bridges made for the perfect backdrop for our outdoor wedding. Rhonda was also really easy to work with, answered all my questions quickly, and was willing to help in any way she could. 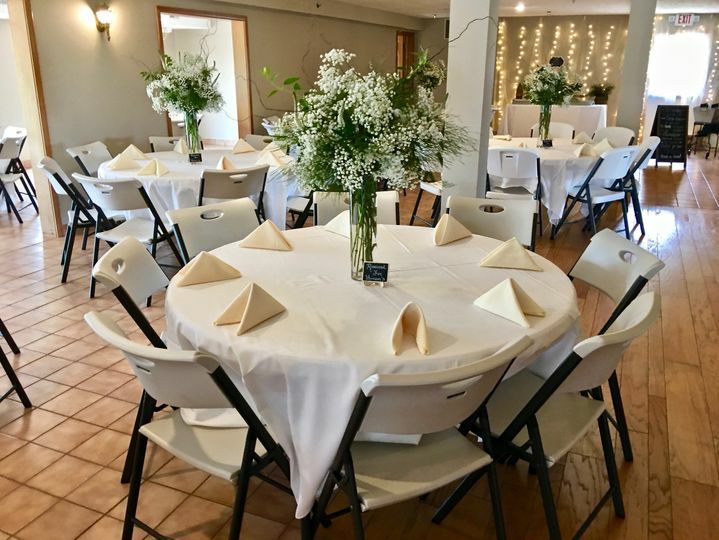 This venue was also great in the fact that you could really make it your own and personalize the place. 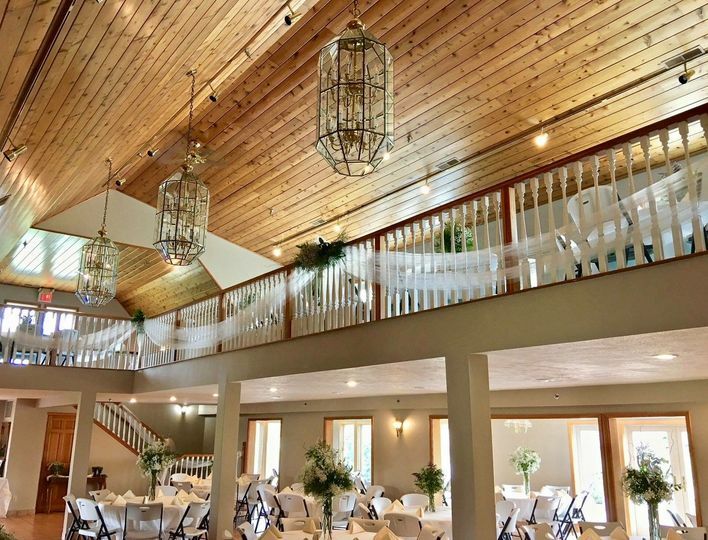 They don’t provide as much as some venues, but that just gave me the chance to pick exactly what I wanted, and for the price you can’t beat it! I would highly recommend this venue.